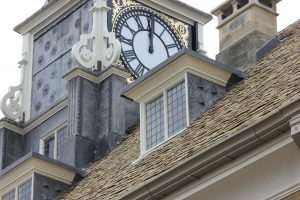 The beautiful Georgian Town Hall in Brackley has undergone a painstaking £3.5m restoration. After nearly two years of works, a high quality tenant is sought to occupy the ground floor of the landmark building and anchor the economic and social life of the town centre with the provision of a new restaurant/cafe. The unit extends to approximately 130sqm (1400sqft) with around 50-60 internal covers and 16 external covers on a new south terrace, there is also potential for additional external covers on the Piazza to the north. The Town Hall was built by Scroop Egerton, Earl of Bridgewater and Lord of the Manor of Brackley in 1704-07. The architect for the building remains a mystery but there are tantalising links in its neo-classical details to Wren and Hawksmoor who were busy in the area. Brackley has a population of over 14,500 with an additional catchment population of over 10,000. Today, Brackley is home to numerous tech and professional service companies. Most notably, 400 metres down the hill, Brackley is home to the multiple World Championship winning Mercedes AMG Petronas Formula 1 team employing 700 people working in shifts 24 hours a day, seven days a week on design, development and manufacturing. As well as being only 10km from Silverstone. The Town Hall has been at the centre of life for this bustling market town and its large rural hinterland for over 300 years; this is your chance to be part of the next chapter in its story.